One of our friends and I get up early and do some hiking through Angeles National Forest. 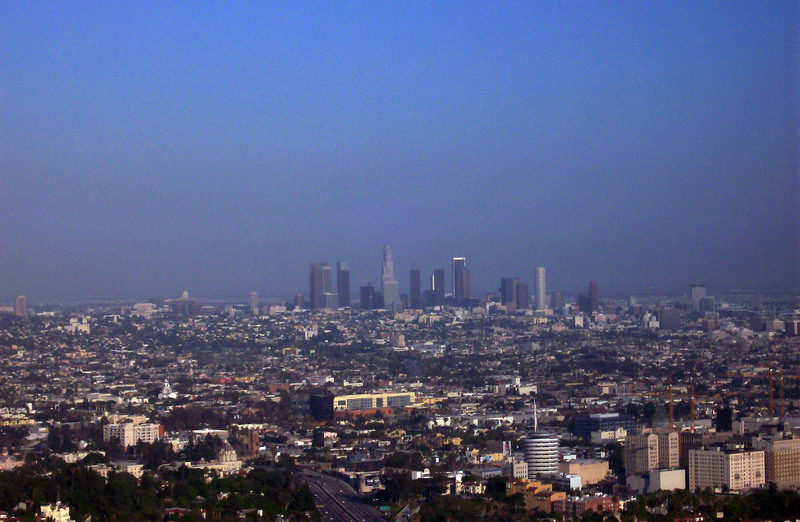 We hike for over an hour, taking in the views from above Los Angeles. Once everyone is awake, we pack up camp and make our way around the mountains to play disc golf. We play a quick round of disc golf at Oak Grove in Pasadena, then head to the Cadillac Hotel on Venice Beach. We check-in, shower, and head down to the Venice Boardwalk to check out the scene. Later we head to Santa Monica and get dinner at Bravo Pizzeria. Getting up a little later than expected, we pack up the car and head to Hollywood. 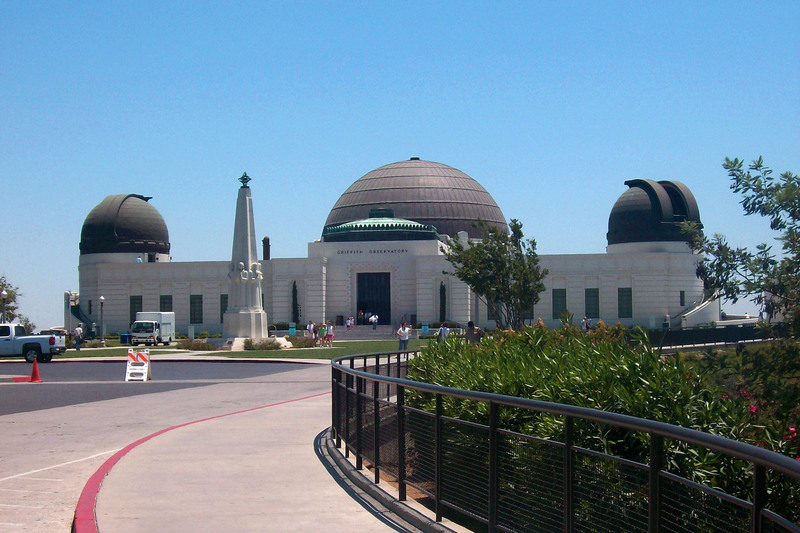 We check out Hollywood Boulevard and then head up to the Griffith Observatory. After an hour or so at the observatory we took a drive through Topanga Canyon and took Mulholland Drive through the Hollywood Hills. Next we head down to Long Beach to check-in to our hotel, then we head down to Crystal Cove State Beach to watch the sunset. Up bright and early we get our things together and catch the shuttle down to the Long Beach Harbor. 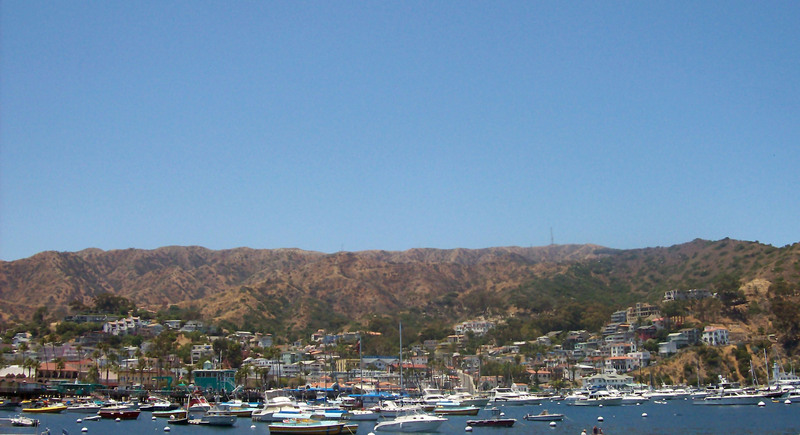 We pick up our tickets at the Catalina Express ticket counter and head outside to load the boat. The trip takes about an hour. Once off the boat, we find a place to have dinner. After dinner, we head to the grocery store, pick up some supplies, and head to Descanso Beach. We get our kayaks, load them up, and head to Willow Cove. The trip to the campsite takes about thirty minutes and the place is great. We get up bright and early to pack up camp and paddle back to Descanso Beach. We spent a little time walking around the island, then make our way to the harbor to catch the boat back to the mainland. Once back, we check back in to the hotel and relax for a while. Later, we head to Beverly Hills, and have dinner at Kate Mantilini, then head back to the hotel and crash. We head out early to drop our friends off at the airport. After their departure, we decide to take a few hours to drive around the city before starting our long journey home. We spend the last two days on the road driving back to Columbus from Los Angeles. Tough drive, but we made it home in just under thirty-three hours.